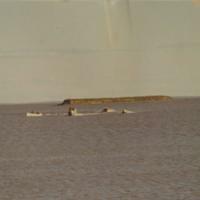 Subject is exactly "White whale"
The image shows a couple of whales poping up for a visit in the ice whole and going back down right away. 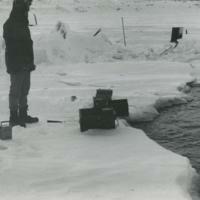 The image shows a man standing next to some equipment that is near the open water for the whale study. 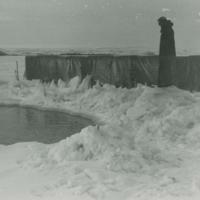 The phot shows a man next to a wall looking down at the whole of open water. 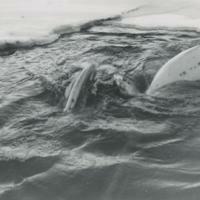 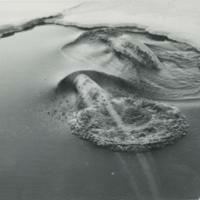 The photo shows a couple of whales diving down from the hole in the ice for the whale research. 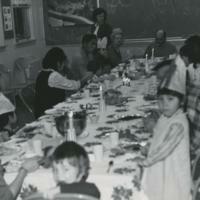 The photo shows a big group of people getting together to have a feast at a nice long table. 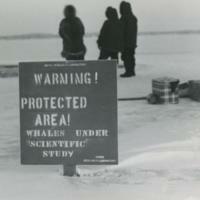 The image shows a close up of the sign "warning protected area" for the whale study. 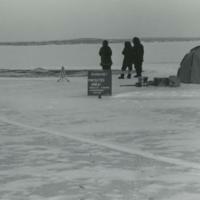 The image shows a big hole in the ice with a sign saying "protected area" for whale research. 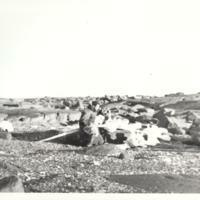 We can also see a tent with a few supplies and a couple of people. 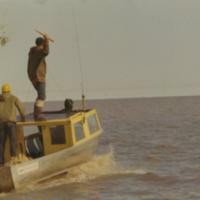 Duplicate. 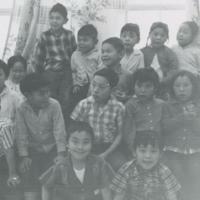 The image shows another class photo full of little kids, but this time the teacher is not in the photo. 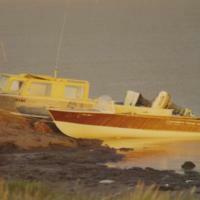 Everyone is unnamed. 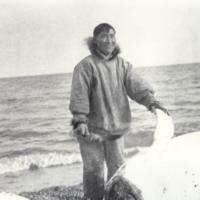 The photo shows a man that seems to be looking a old whale bones by some rocks. 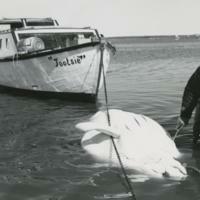 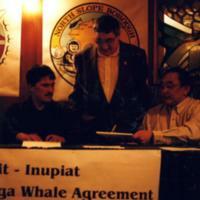 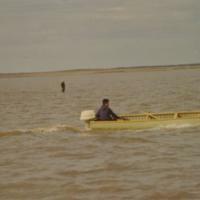 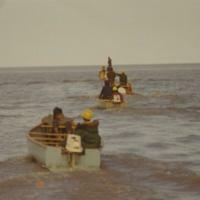 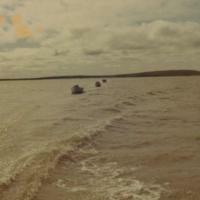 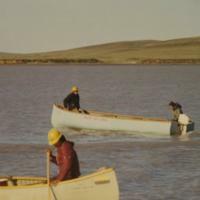 A photo of Silas Palayaq (Agnes Nigiruq’s adoptive dad) cutting up a white whale at Horton river. 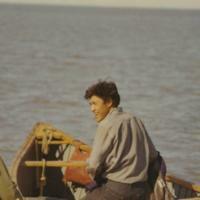 He is dressed in traditional clothes.